It's that time of year again. Tatuaje will release their newest Monster themed cigar. 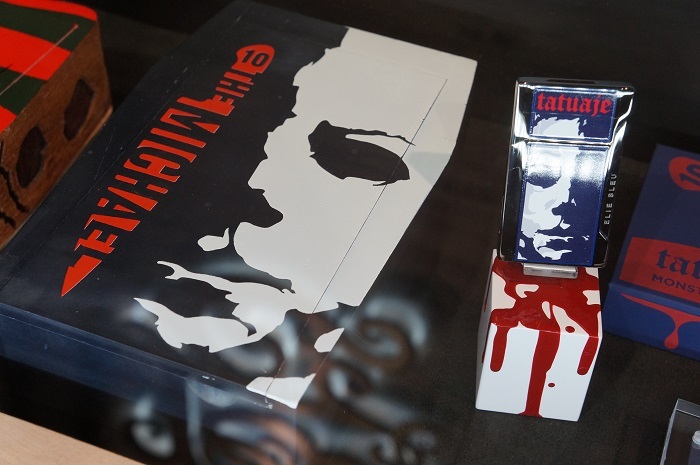 This year's release will be the "The Michael" based on the John Carpenter character Michael Myers. The cigar will be a 6 1/2 x 52 toro featuring an Ecuadorian habano wrapper and Nicaraguan binder and fillers. Only 666 numbered "dress" boxes are released each year with the majority being split betwen 13 stores known as the "Unlucky 13"